Go for gold and get yourself the fully loaded weather resistant 9-inch X209-WRA Restyle Dash System with Apple CarPlay™ and Android Auto™ but also has built-in Navigation and DVD/CD player slot. Taking your Wrangler off the beaten path? The X209-WRA can keep up with the fun, even when dirt, light rain and dust catch you off guard. The 9-inch touchscreen and dash kit are splash-proof and dust-proof, rated at IP53* so the adventure can go on uninterrupted. *IP53 Rating: Protection against dust with limited ingress and fresh water spray from up to 60° vertical. Be smart when using your phone on the road. 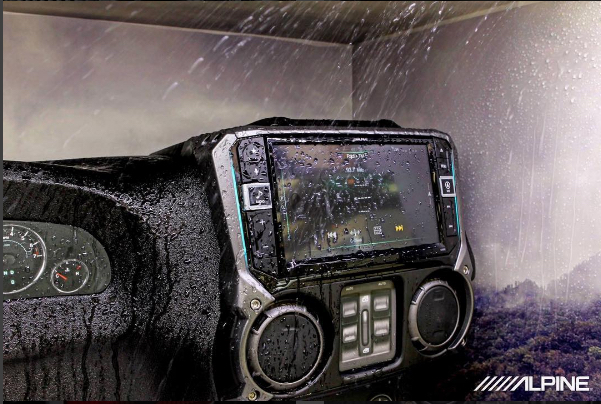 The X209-WRA is compatible with both Apple CarPlay and Android Auto and all controlled through the exclusively large 9-inch touchscreen and heard through your Jeep's speaker system. Now you don't have to touch or look at your phone and keep it safely stored away. The X209-WRA is the first Restyle Wrangler Restyle system with Apple CarPlay™ and Android Auto™ map features for your urban adventures but still has built-in GPS navigation for when you lose cellular reception off the beaten path. You may not notice at first, but the X209-WRA does in fact have a CD/DVD player. A press of the "Eject" button will motorize the 9-inch screen down to reveal the CD/DVD slot. So, if you have content living on CDs and DVDs, rest assured that you can still enjoy your CD music for your drives and access DVDs in your vehicle while parked. 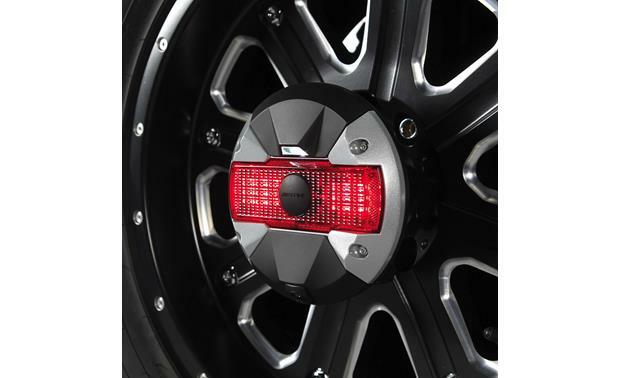 Have you upgraded your Jeep Wrangler with accessories like a winch, light bar, air suspension and tire air compressor? No need to add switches that clutter your dash. You can conveniently control these accessories directly from the X209-WRA's touchscreen! The KAC-001 Accessory Controller (sold separately) turns the X209-WRA into a hub to connect and control these accessories. 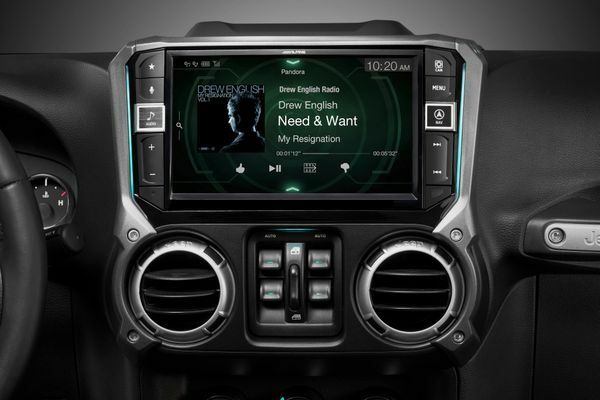 Does everything I want in a head unit and more than I ever imagined. Looks like a beast in the dash and was easy to install and setup. Bought the accessories mode as well, definitely getting the most out of this radio. Extremely happy with it. Can also use the alpine app to send sound settings directly to the radio. 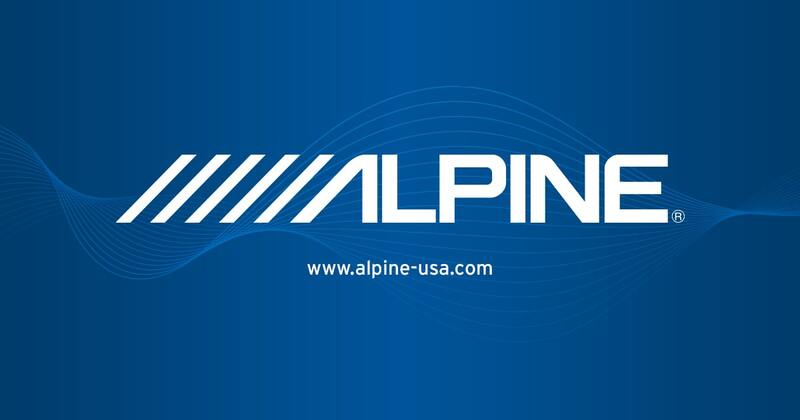 Great work alpine!